The elk grazed slowly along the edge of an old burn. With two quick presses of a button, the Leica Geovid HD-B ranged it at 854 yards, then displayed the MOA correction needed to make the shot. I ranged that cow several times, each time getting a distance and correction. It was the first time I’d used the HD-B as it was designed during this review. Over the next two months, I would put it through the most realistic field tests I could imagine. 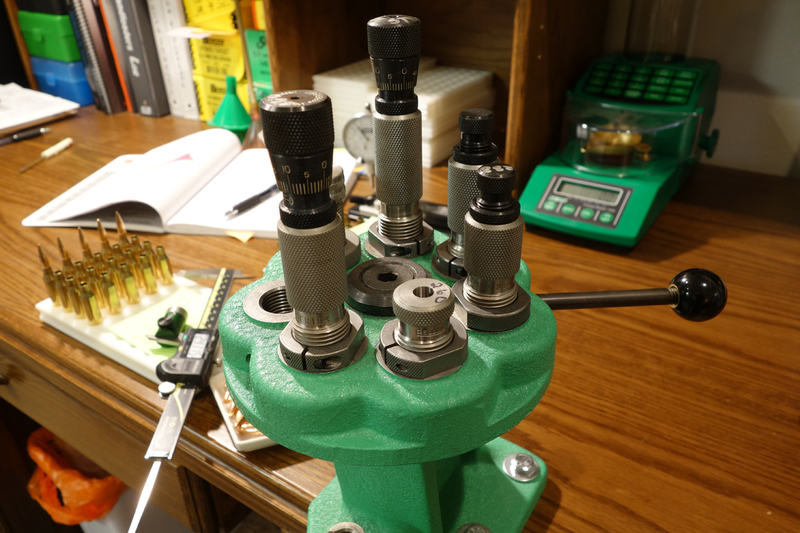 I would also examine the advanced ballistic functions of the updated Edition 2200, and test them for accuracy. The bulk of this review will focus on the range finding capabilities and general use of the Geovid HD-B Edition 2200. The ballistic functions of the HD-B are covered HERE. Also, be sure to check out the field review & demo VIDEO. This review is based on field use of the Geovid HD-B over the course of two months. It went everywhere with me. There’s no fluff or filler here; just my thoughts and analysis from long hours of glassing, pushing buttons, and shooting. The model reviewed is the Geovid 10×42 HD-B Edition 2200, MPN 40 438. Max ballistic correction ranges: 875 yards w/ generic curves, 1000 yards w/ custom curve, 1200 yards w/ EHR. Min ballistic correction range: 50 yards for MOA/click corrections, 10 yards w/ EHR. Ballistic correction formats: Holdover, MOA, MILS, EHR. Leica has a well-deserved reputation for top-notch optics. The Geovid HD-B exhibits the same optical clarity and color trueness I’ve come to expect from Leica optics. I won’t focus on comparing the HD-B to other top-tier binoculars; there are too many variables to consider in the short timeframe of a review. When you start looking through the lenses of what some call “alpha-glass”, the differences in those optics can be subtle. Any attempt to sort the better from the best tends to be subjective. Nor did I attempt to measure chromatic aberration, vignetting, or other technical aspects usually covered in a binocular review. There are better venues for you to find that information. However, I will share some of my personal thoughts based on 20 years of experience hunting with Swarovski and Leica optics. They’ll be scattered throughout the review, anecdotal in nature, and described in layman terms. Testing low-light and laser performance through moisture. One thing I did test specifically was the HD-B’s low-light performance. A subscriber had mentioned second-hand claims that the HD-B performed poorly at dusk. Those claims stated that the HD-B gave up 30 minutes of viewing time to another brand. I don’t know which 30 minutes they were, but this pair allowed me to view animals beyond legal hunting hours on several occasions. This testing was done at distances from 400 to 800 yards. Legal hunting hours in Idaho are 30 minutes before sunrise and 30 minutes after sunset. I compared them to my Swarovski SLC 7×42 and SLC 8×30, as well as my Leica Ultravid HD 8×42 binoculars. Under the same conditions, they all gave a slightly different view of the same targets. If anything, the Geovids provided more detail in low light than the others due to its 10x magnification. Before any formal testing began, I carried the Geovid for four weeks over my shoulders, looking for bears and shed antlers. Due to the time frame for this review, I felt it was the best way get a feel for how it would work for still-hunting. I’m a rifle hunter, but I spent a fair amount of my early hunting years carrying a bow. 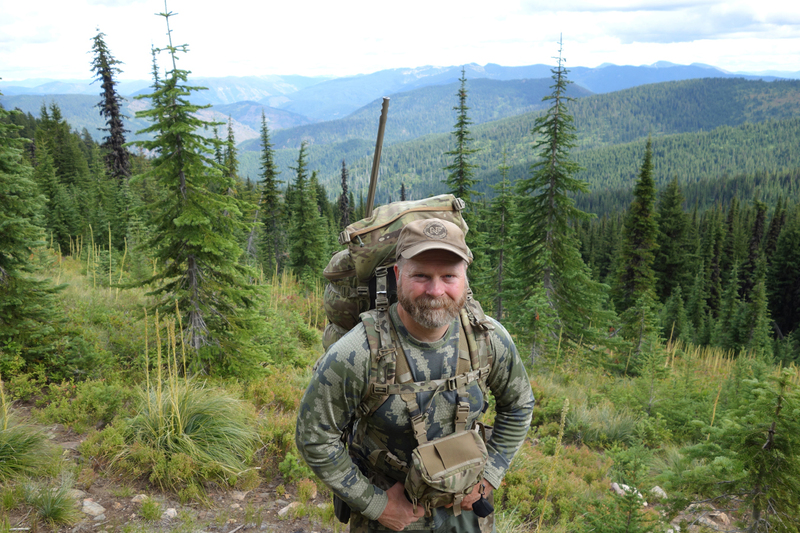 Modern archery hunters have access to some gear that I couldn’t have imagined 20 years ago. The HD-B Edition 2200 has some features designed for bowhunting, so I wanted to see how well they worked. The open bridge construction and Perger-Porro prism design allows easy one-handed operation. I found I could adjust the focus knob with my index finger, then range a target without moving my hand. With the control buttons on the right side, the Geovid favors a right-handed bowhunter when used this way. Archery hunters will also like the Geovid’s Equivalent Horizontal Range (EHR) feature. When EHR is selected as the ballistic function in the HD-B Edition 2200, the true distance is displayed first, followed by the distance affected by gravity. In what Leica describes its “Archery Mode”, EHR factors the inclination angle into the adjusted distance from 10 to 100 yards. It gets more sophisticated beyond 100 yards, so we’ll cover that later. I spent several weeks shed hunting with the Geovids, studying everything I could with them. The clarity of view is simply amazing with these binoculars. The 10x magnification allowed me to see detail across small draws and deep into timber pockets. The focus knob is very smooth, with no backlash or binding. Diopter settings are adjustable at each ocular lens. This allows independent focusing of the LED display. Leica includes a comfortable shoulder harness for the Geovid, along with rubber ocular and objective lens covers. There’s also a fitted cordura pouch in the box. I chose to carry it in an Alaska Guide Creations Denali Bino Pack during the review. I’ve been using an AGC Classic Bino Pack for two years with my Ultravid 8×42 binoculars, and highly recommend the system. It keeps binoculars safe and secure, while allowing instant access when needed. The shoulder straps are designed to come on and off quickly, and do an excellent job distributing weight. The built-in tethers are handy when you forget to secure the top flap before bending over to clear an obstacle. The Denali fits the HD-B perfectly, and the side pouches are just right for a Kestrel 5700 Elite or Sportsman and a knife. The center pocket carried the tripod adapter and some other gear. The AGC packs are tough, and I’ve come to trust them with my optics. AGC is also a dealer for the optics their packs are designed to protect. Check them out HERE. Alaska Guide Creations Denali bino pack. 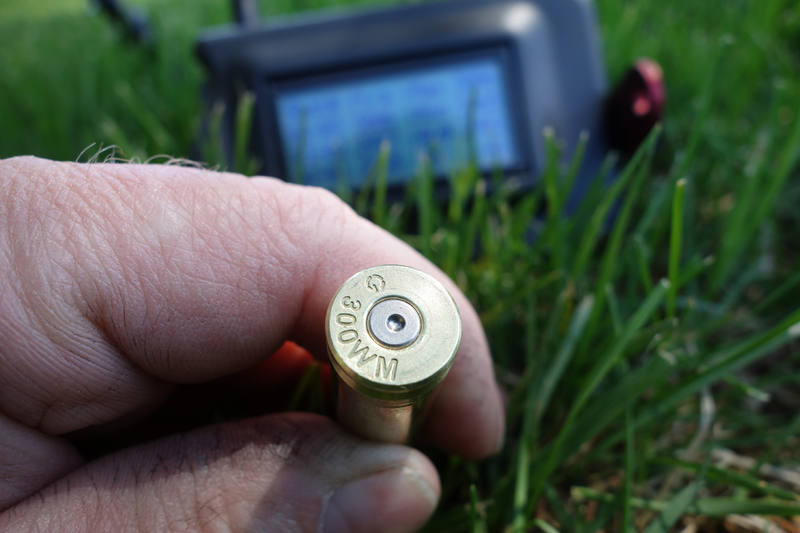 The Geovid HD-B Edition 2200 is rated to measure distances from 10 to 2200 yards. The sample I used during the review met those specifications. I recorded ranges to 2294 yards under ideal conditions. Returns from 1800 to 2200 yards were common in the early morning and evening hours, even on trees. The main/release button is used to range targets. Pressing the button once lights up the aiming square in the right side of the binoculars. Press the button again for a range. The distance is displayed quickly if the return is successful. The published spec is .3 seconds max, but the return seems instantaneous on good targets. The laser beam divergence of the HD-B is 2.7 x 1.0 mrads. The aiming square appears to be 2.7 mrad². I checked the orientation of the laser by taking readings on my target backer at 100 yards. The beam in this unit sits in the middle of the square. I used a Leica Tripod Adapter to support the Geovid on a tripod for the last month of this review. Once I started using the adapter, I rarely handheld the binoculars for anything. It works very well for long glassing sessions, scanning for targets, and accurate range finding. I spent a lot of time with the Geovid on a tripod. I compared the Geovid to several other LRFs throughout the review, but I’ll keep this review about the Geovid. On occasion, I used my Leica 1600-B CRF as a control to check readings. I have complete trust in it, having made thousands of hits in the field with data pulled from it. The Geovid HD-Bs are designed as hunting binoculars with range finding and ballistic solving capability. My testing under realistic field conditions reflected that design. I didn’t range buildings, road signs, or distant water towers. I bounced the HD-B’s laser off things like trees, brush, rocks, grass, and animals. Using the tripod adapter yielded the most consistent performance at extended long range, followed closely by lying prone and supported. Ten-power magnification and viewing the target with both eyes open is a big advantage over the typical compact rangefinder on the market today. I would get bored of ranging targets long before eye strain could ever set in. On several occasions, I ranged whitetail deer and elk feeding in open pasture from 1400 to 1800 yards. The furthest distance I logged on an animal was 2174 yards. That was a cow elk feeding on a steep, grassy slope during the last hour of light. My notes show seven out of ten returns on the elk, with values ranging from 2171 to 2174 yards. 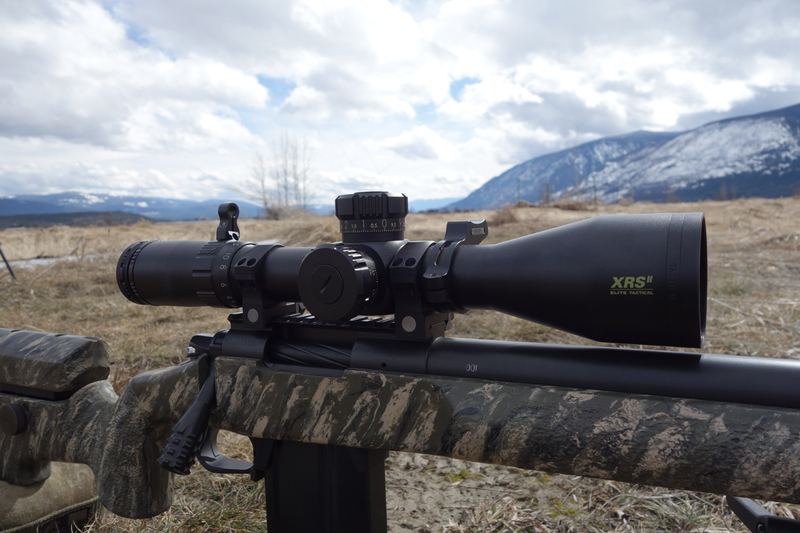 A Vectronix PLRF-10 mounted on a tripod next to the Geovid pegged her at 2173 yards. An interesting observation about that evening is what the HD-B would range at that distance. It would range the elk and the grass around her, but not the rock faces slightly below her and closer to me. I noted that on several occasions; I had more returns at extreme distances from vegetation than rocks. Conditions had to be ideal to get maximum returns. Early morning, late evening, and overcast skies yielded the biggest distances. The HD-B would range out to 1800 yards or so under almost any condition, but to get that last few hundred yards everything had to be ideal. I found that lighting conditions had more influence than target quality. The distance bracket that I spend most of my time shooting and hunting in is 300 to 1200 yards. The Geovid HD-B consistently performed well across this bracket in all conditions. This is really the meat and potatoes of a hunting rangefinder. Despite the bluster and bragging from many in the long-range hunting community, most of the shots taken on animals are within this bracket. Precision rifle matches also revolve around these distances. A good rangefinder should work for these shots whenever it’s taken to the field. Fog, rain, bright sunlight, mirage, dust, and smoke are challenging conditions for a rangefinder to function in. I had opportunities to test the HD-B in all of them. It rarely disappointed me. One of the most interesting opportunities came during a late evening in early June. A line of thunderstorms had soaked the area I was in, but cleared out an hour before sunset. The valley I was in had an old pasture that extended for 900 yards before ending at a steep ridgeline. There were two groups of whitetail deer feeding in the pasture at approximately 400 and 700 yards. As the temperature cooled down, the moisture in the air started forming pockets of ground-level fog. This fog partially obscured the deer and ran several hundred feet up the flank of the ridge. I braced against an old fence post and started ranging both groups of deer and the face of the ridge. The Geovid would produce a return every time–if I could see the target. As the fog became thick enough to completely hide the deer, it would range the leading edge of the fog. I’ve seen a few rangefinders that fail miserably in the fog, even when the target is visible through it. The HD-B handled it well. I also tested it a few times in light rain, when animals tend to be active. Not only did it work, it returned some impressive ranges through moisture. I tested the EHR function one morning during a light rain. It wasn’t the kind of rain to make you run for cover, but the jacket came out of the pack. I was scanning a clearcut in front of me, bouncing the laser off stumps 650 to 800 yards away. The rain was thick enough to see in the air, but the returns kept coming. I eventually worked my way up the ridge behind that cut, and started scanning an old road that wrapped around into the next draw. I noticed a black object standing out against the bright green grass growing on a corner. When it started moving, I realized I was looking at a black bear feeding. I lined up the aiming square on it and started trying to range it. On the third or fourth attempt, I started getting returns with every try. The range was 1886 yards. The log deck behind the bear was 1893 yards, but I couldn’t get a return from the cutbank beyond the deck that was likely just 20 yards further. This was from a tripod, but I was impressed by how well the HD-B performed through moisture. We tested the Geovid’s performance through smoke on the same trip. Slash burning was in full swing downwind of us, and eventually thick smoke found its way into our canyon. It pretty much put an end to our video work for the day, but didn’t keep us from shooting. The laser worked much like it did in the fog—if we could see it, we could range it. The two things that challenged the HD-B were bright sunlight and rock faces. When the sun was high and mirage thick, performance dropped off drastically on big-distance targets at obtuse angles. I would estimate that we had zero problems with targets 800 yards and in. Beyond that, we sometimes had to work for our returns. Most of the time, we could get a range by targeting a similar object close by that was shaded. If a cloud passed by and filtered the sun on the target, we were back in business. I don’t fault the Geovid—every LRF I’ve used had the same problem. The most frustrating thing for me was the Geovid’s problem with ranging distant rock faces, even in good conditions. It often took several attempts to range a slab that my 1600-B would hammer on the first try. I could almost always aim the laser at a bush or tree to the side and get a return. Individual rocks and rockslides weren’t a problem, just big rock outcroppings. They were usually well beyond the 1200-yard mark, but I expected better results from seemingly good targets. I would summarize the HD-B’s rangefinder performance as it relates to my long-range hunting experience. I can think of no real-world scenario where the HD-B would have cost me a shot on an animal due to laser performance. Most of the tests were designed to make it fail, but it rarely did. The Geovid HD-B can measure station pressure, ambient air temperature, and inclination angle. Those values can then be used as inputs to a ballistic calculator. To measure these conditions, the secondary button is pressed to wake up the aiming square. Press it again to display the values. I tested the Geovid’s accuracy against two 5000-series Kestrel meters. Not surprisingly, none of them displayed the same station pressure values. The spread from high to low was only .2 inHg, though. Air temperature values were a different matter. Testing the Geovid HD-B with a Kestrel Elite. When I tested the Geovid against the Kestrels for temperature accuracy, I started by leaving them all in the shade for 30 minutes. The mid-day conditions were mostly sunny with occasional clouds, and slightly breezy. I noted a baseline temp of 65° F, then mounted the HD-B and one of the Kestrels on tripods. I recorded the measured temperature from each unit every 10 minutes for an hour. The Kestrel ranged from 59° to 69°, while the Geovid recorded temps from 64° to 76°. The second Kestrel was left in the shade, and only fluctuated 2° the entire time. For practical purposes, this test was unrealistic. In most hunting situations, I wouldn’t leave either device exposed to the sun or wind for an hour. The Kestrel is notorious for inaccurately representing the actual temperature if left exposed to direct sunlight. For that reason, it’s recommended to clear the thermistor before reading the temperature. I also turn off the environmental updating after it’s cleared. The Geovid HD-B has no provisions to perform either step. In fact, Leica warns users that the unit can take up to 30 minutes to show an accurate temperature when moving from one extreme to another. The bigger concern stemmed from taking the Geovid out of a warm setting and exposing it to a cold environment. To test that response, I took the unit from inside my house at 64°, then exposed it to an outside temp of 45°. It took three minutes for the Geovid to start its downward trend, and 25 minutes for it to bottom out at the true outside temp. That temperature spread represents a .4 MOA difference in the correction for a 1000-yard shot. It could easily double when exiting a warm vehicle for an early morning fall hunt. I give the HD-B high marks for its stability when measuring temperature. That’s a necessary trait when using it as a ballistic solver. However, it has limitations that will have to be planned for. The ability to find an animal and range it in one motion is a huge advantage for the hunter. I’m usually skeptical about devices that multi-task, but the HD-B works as advertised. The advantage can’t be overstated if you examine a typical long-range shot on a live target. The normal sequence involves finding the animal with binoculars or spotting scope, then finding it again with a rangefinder. Then conditions are measured and a ballistic solver is fired up to get a solution for the shot. These things all take time. That time can be managed with experience, but sometimes the animal just won’t allow it. With the Geovid, you can perform the same functions in one motion—without taking your eyes off the animal. Performing it all with one piece of equipment adds value to its performance as well. While testing the individual components of its entire system, I found a few weaknesses when subjected to certain conditions. When using the HD-B as a hunting optic, rangefinder, and ballistic solver in one motion it rarely disappointed me. For the last two months, I’ve used the Geovid HD-B Edition 2200 as an all-purpose optic, rangefinder, and ballistic solver. With few exceptions, it’s continued to impress me across a broad range of conditions and realistic field testing. Click HERE for my comprehensive analysis and review article of its advanced ballistic functions. Be sure to visit the Leica website for information on their entire line of products. Great stuff. I just received my 2200’s today. Uploaded data to SD card, but ‘card’ doesn’t show up when in the binos. Card seems to be seated good. Tried many time in and out. Any thoughts? The only thing I can think of is the file format on the card might be off. Be sure it says drop.hex before uploading to the card. Any other characters added to drop.hex, such as drop.hex(1) will make it not work. Great review! These are my next optic purchase and have read several reviews but yours is the only comprehensive review. I still use my Leica 900’s I bought in 2001. What type of tripod and brand are you using?? It’s a Slik 824CF carbon fiber tripod, with a Manfrotto MHXPRO-BHQ2 ball head.